The Busy Bee’s had a problem to solve on Friday. 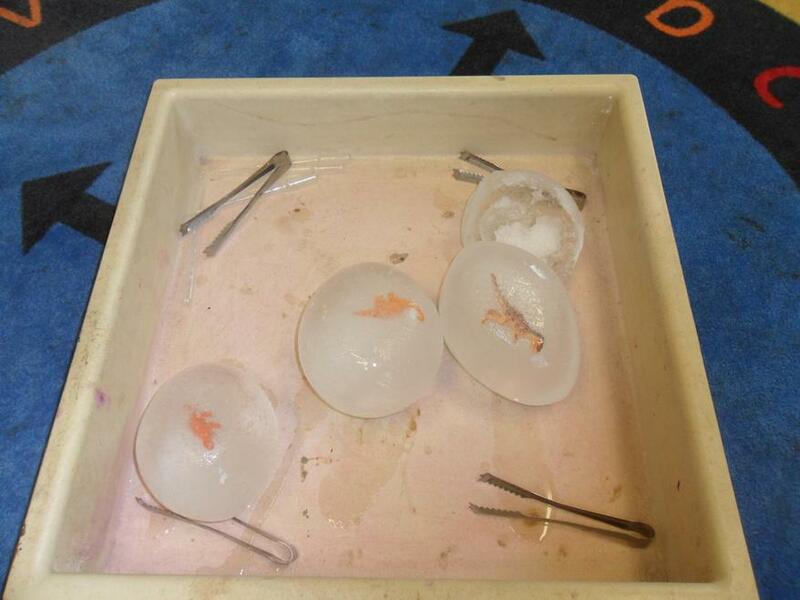 There were shocked to find some frozen dinosaur eggs in the classroom. They spoke about what the eggs were made out of and discussed the features of ice. 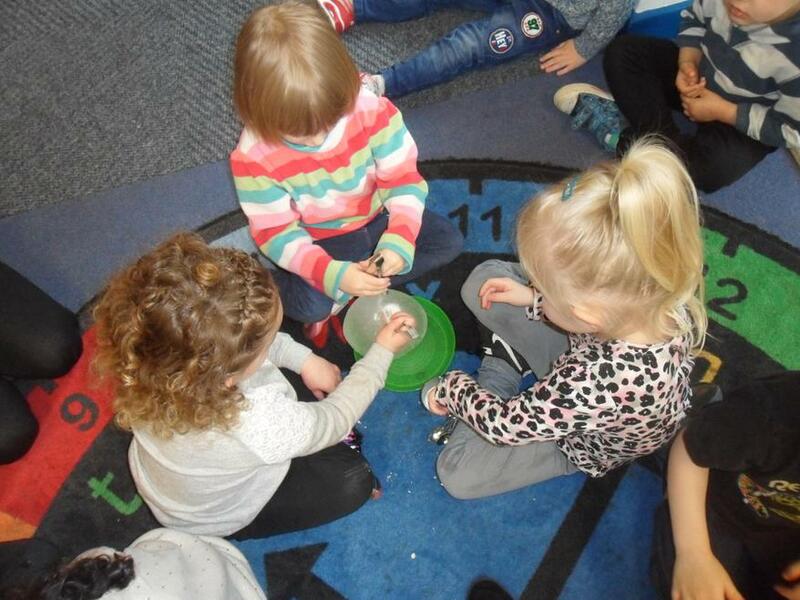 They noticed that when they were holding the eggs water was dripping from their hands. Some of the Busy Bee’s suggested that we could put the eggs in a fire to warm up the eggs so the ice melted and, in turn, freed the baby dinosaurs. 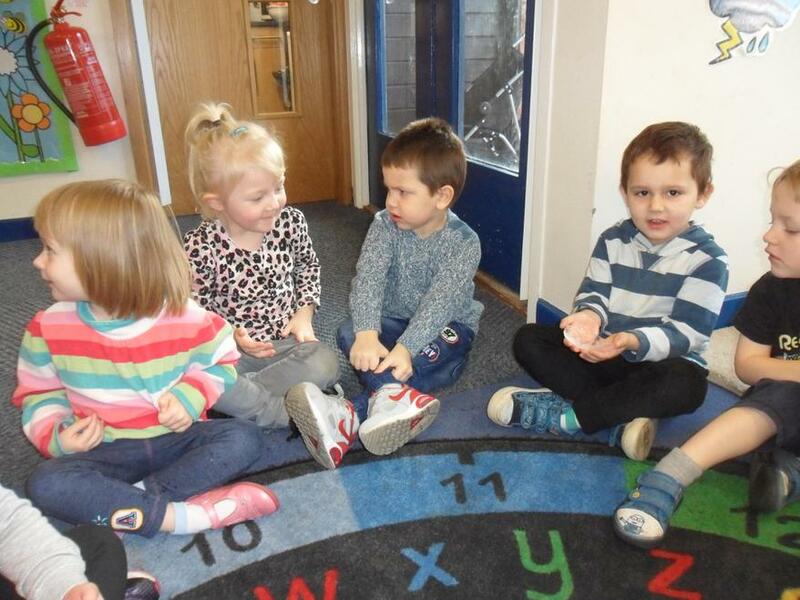 Miss Garforth poured some salt onto the ice and they used their listening ears to hear what happened. 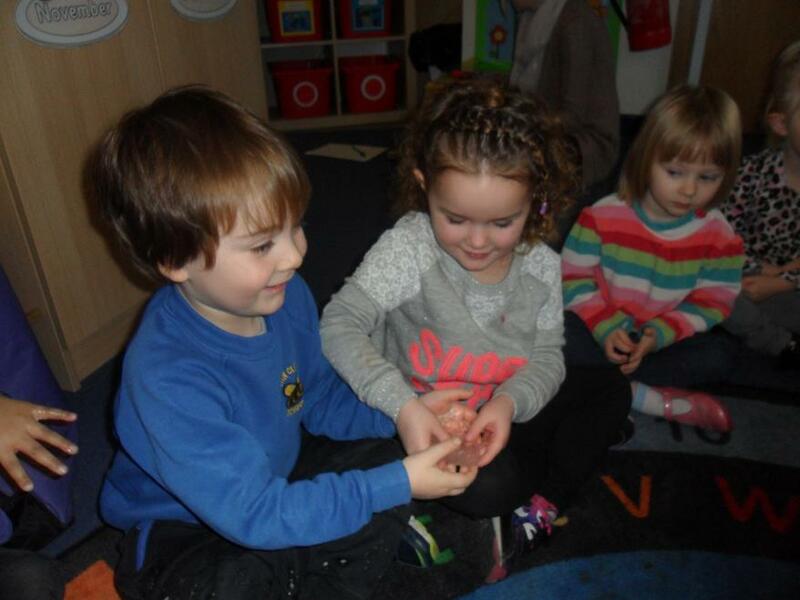 they could hear the ice cracking and they saw water dripping down the eggs. Some of the children thought it might be a good idea to put some hot water on the eggs. They used pipettes to drop small amounts of water on them and we eventually saved the baby dinosaurs.